“Seeing the difference” goes beyond simply providing our clients with high quality eyeglass frames. As far as we’re concerned, that statement reflects a commitment to offering products and services that address a wide variety of vision issues – including color deficiency. 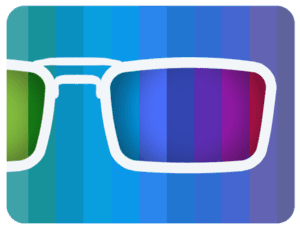 It’s why we’re pleased to announce that colorblindness exams and specially crafted lenses are now available at our South Hills Village, Monroeville/Wilkins, Wexford, and Robinson Eyetique locations. These products come via a partnership with EnChroma, a California-based company created through a Small Business Innovation Research grant from the National Institutes of Health. EnChroma is comprised of innovative researchers, engineers, technology experts, and a pioneering advisory board of vision scientists who work to develop cutting-edge optical technology for the estimated 300 million people worldwide with color vision deficiencies. “This partnership allows people who are color deficient to experience the world in a whole new and exciting way. One of our main goals at Eyetique is to provide an exceptional experience and care to all of our patients. The EnChroma lenses help us achieve this goal by giving color deficient patients the ability to experience color like they never have before,” said Dr. Meghan Dugan, one of the optometrists at our Robinson store. Most people think colorblindness means you only can only see black and white or grays. The truth is, very few have cases so severe. More commonly, it’s the inability to distinguish between certain colors – typically reds and greens and the occasional blue hue. 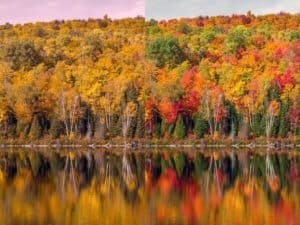 Color deficiency happens when one or more of the color cone cells are either absent, nonfunctioning, or detect a different color than normal, according to the American Academy of Ophthalmology.